Ed is a Masters trained physiotherapist having studied both in Australia and the UK. He is Director and Head Clinician at Physio Ed Medical in Harley St London. The clinic specialises in performance medicine, specifically movement and voice related muscle problems. Patients from a variety of vocal backgrounds attend for laryngeal manual therapy to resolve presenting muscle tension problems. Ed's work has been published in multiple journals and textbooks and regularly used as a lecture topic at various conferences and workshops. 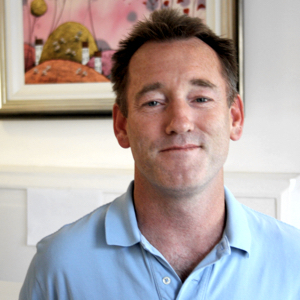 Ed founded Physio Ed Medical Ltd in 2004 following a successful stint as a sole clinician in private practice. Prior to this he had completed a BSc in Physiotherapy in Perth Western Australia and an MSc in physiotherapy at University College London. He has pioneered physiotherapy treatments for vocal patients and has vast experience in the management of dance and performance related injuries. He lectures regularly on the academic circuit on the above topics and has many publications to his name in prestigious medical texts and journals. At the Harley Street clinic his primary area of interest is in the management of spinal pain in addition to his vocal work. Outside of work he is a keen skier, runner and swimmer.